« Day 519 In Beijing: Blue Tour In Cappadocia, Sultan’s Ceramics Wine Vase. 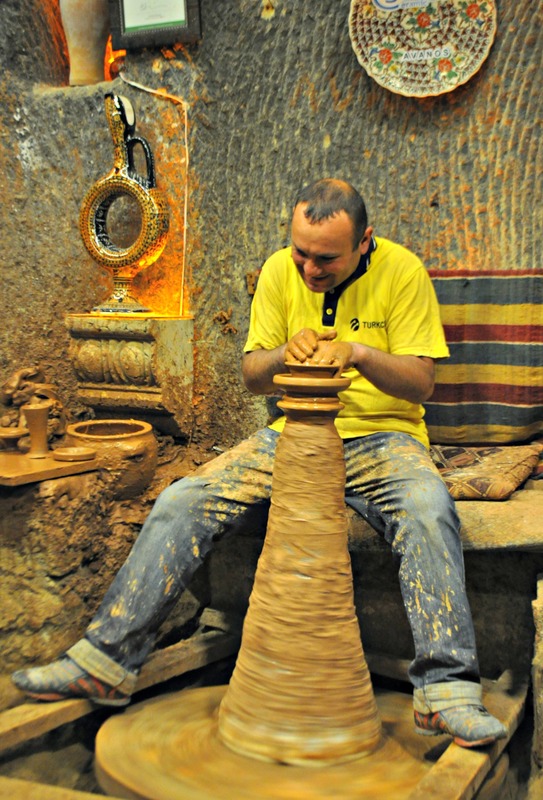 Day 520 In Beijing: Blue Tour In Cappadocia, Sultan’s Ceramics Making A Vase. A true artist throwing clay on a kick wheel. Jill and I continued on the tour and, as we neared the end of it, they led us into a room with a man sitting at a potter’s wheel. He smiled kindly and our guide informed us that he was going to show us how the vases were made and give us a little show. I’d write more but the video really speaks for itself. And for the artistry, and utter joy, of the man throwing the clay, kicking the wheel, and making a vase. It is worth the time to watch it all the way through.